Helping your child with autism reach their full potential through ABA. We work with your child 1:1 in your home for a prescribed number of hours per week. 1:1 shadow aide at school to help meet academic, social and behavioral goals. Intended for your natural environment, helping to adjust for wherever life takes you. Focused on establishing friendships, pursuing interests, & supporting independent living skills. 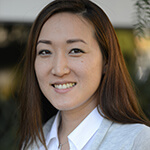 Dr. Lisa Lee is a Clinical Director for AST for the Greater Los Angeles area. 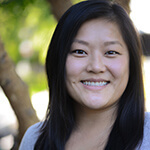 She holds a Ph.D. from the University of California, Los Angeles where she focused her research on caregiver-child interaction and peer relationships of children with autism. She has training in many areas of Applied Behavioral Analysis including discrete trial training, pivotal response training, social skills training and positive behavioral support. Prior to AST, she spent six years working as a project /research coordinator at UCLA/Autism Evaluation Clinic for various psychopharmacology research supported by National Institute of Mental Health specifically working with children and adolescents with aggressive behaviors. She has also presented her research at many national professional conferences. Teresa is AST’s Clinical Director for the San Gabriel Valley. She was introduced to the field of applied behavior analysis at University of California, Los Angeles (UCLA) where she took psychology coursework in behavior modification and interned at the Lovaas Institute for Early Intervention. She went on to pursue an master’s in early childhood special education at California State University, Los Angeles. Teresa started her career with AST as a behavior interventionist in 2004. 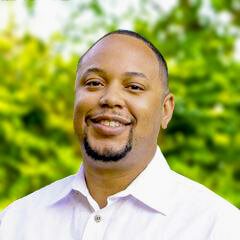 Brandon is AST’s Clinical Director for the Beach Cities area. He was introduced to the field of Applied Behavioral Analysis while working as a counselor at a dual-diagnosis residential treatment facility. There, he learned about the effectiveness of early intervention and decided to become a board certified behavior analyst. Brandon joined AST in 2009 and soon after acquired his master’s degree in education from National University. While going through his coursework, Brandon held the positions of Interventionist, Advanced Behavior Interventionist, and Supervising Behavior Interventionist. Upon obtaining his BCBA he has held the positions of Clinical Supervisor, Managing Clinical Supervisor, and Assistant Clinical Director before becoming a Clinical Director. Specializes in financial planning for families of individuals with special needs. Trunk or Treat with AST! Join our Los Angeles team! Questions about our services or ready to schedule a consultation? We would love to chat and know the value of a helping hand. Let us help you on your journey.